Ahead of Salad’s Shiiine On debut appearance as part of a big Britpop opening night on the Main Stage, we spoke to lead singer and founding member Marijne about the past present future. She also gave us her time to pick her own personal Salad top 10 tracks for a playlist, scroll down to check it out. .
How has it been playing as a full band again after the experience and success of the stripped back Salad Undressed? While it was lovely to be at it again with Paul, after only seeing each other maybe once a year, it was the royally good camaraderie to be 5 and to rock. I think we needed to let it all out and that maintains to be excellent. And by ‘all’ I might possible mean the frustrations of the last 20 years and what being middle aged means! I have been re-visiting the “Lost Album” over the last few days – It strikes me as a great collection of songs & ideas that never quite came to fruition – That may have taken Salad in a different direction musically – fair assessment? , is there a back story to this particular set of songs? I think the musical direction you’re talking about is a less grungy indie side to us and a more quirky, giving less of a f**k about what people expected. At the time the record company didn’t understand which is why they didn’t have the vision to hang on to us and help us develop a bit more. Its wasn’t our time. The back story to those demos is that some are recorded in professional studios and others in our rehearsal space with overdubs on my Tascam – 4 track recorder. 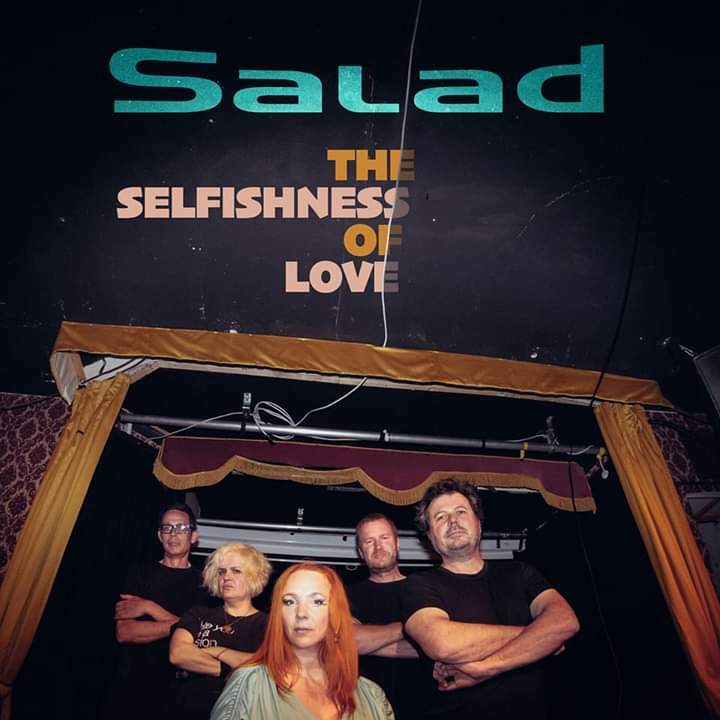 I found it quite refreshing and a lot more interesting that Salad emerged back on people’s musical radar with the Salad Undressed concept, playing and recording new material from the off as opposed to Salad “The Comeback”. Was conscious decision or something that was dictated by the strength of the material written? Interesting viewpoint, thank you. It was a neither a conscious decision or dictated by material but a bit of both. When Salad Undressed decided to do an album, the Salad reunion wasn’t even a twinkle in our eye. But we knew we could get enough material for an album together as Paul and Donald (Producer ‘Ice Cream’ 1997) had been writing together for the past 20 odd years. Donald ended up producing and co writing a lot of the songs on Good Love Bad Love and is now also Salad’s drummer (multi instrumentalist boy!) So we had a treasure trove of songs to choose from as well as writing songs on the spot (I Love the Doctor, Princes and Fools). I think it worked, it gave us the opportunity to bring back awareness of us and use it as a great platform to go all fandoid and release some material we hoped fans would lap up through the Pledge Music platform to raise funds for the Salad Undressed album. It all gave us freedom and time to make the album we would love to have made in 1998, although that I actually now to come with the new Salad Album. Do you still enjoy re-visiting and playing the old songs from the first albums? Yes, we are in fact re discovering our love and joy for the old songs as we see how much joy they’re bringing to those that come to see us live. But we’re equally loving the new direction we are going in that’s recognisably Salad but with 20 years life experience behind it. You will be playing alongside a lot of familiar faces and contemporaries at the Shiiine On festival. Or foes as the music press would have had us believe back then, was this all a myth? Deffo friends now. But yes a little foe back then. Created by the press and bought by us. It was competitive though. How awful to be competitive with creativity. It makes me a feel a little sick. Now we’re all in the same club and love meeting up. Shiiine On is gonna be some ball. A new Salad album – how is it all going and sounding, when can we expect to hear it? Sounding like Salad alive and well. With added shine from Charley’s lead guitar lines and beautiful Backing Vocals and Donald’s solid drumming and producer head. Donald and Charley are the only ones that didn’t stop playing in bands all these years. Recording is going well but slowly, time isn’t our friend any longer like those heady days in the 90s, when there were no kids, no other job and record company money to put you in a posh studio for 3 weeks. And we keep writing new material in rehearsals and Paul seems to have song writing tourettes. 1 out of 5 is good enough to polish up, 1 in 10 is a gem. And I have some songs going on the album too, I write literally only when it the mood takes me out of the blue , which isn’t that often, but the band tend to like what I deliver to them. The and our litchis lyrics are somewhat more accessible these days. Any plans for a single ahead of the albums release? Yes! Woohoo! Nov 9th. Physical release through Pledge Music and digitally through all reputable online / streaming outlets. It’s called ‘The Selfishness Of Love’! We’re shooting the video on Tuesday. I’m editing it. Single is recognisable Salad v.2018. But the album will be quite eclectic with many variations of sonic pleasure and song writing. 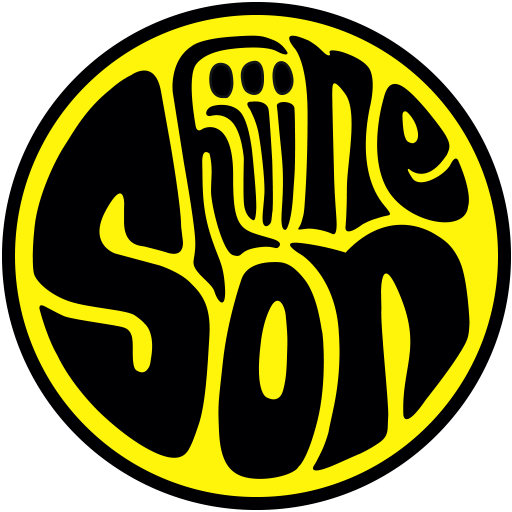 Anybody on the line up you will be hoping to watch while at Shiiine On? Which 10 tracks would you choose Marijne for a perfect compilation or introduction to the music of Salad?